Welcome to my website! My name is Paula Owens. I’m a clinical and holistic nutritionist, and functional health practitioner. I am also the author of The Power of 4 and Fat Loss Revolution. I’m dedicated to helping you heal naturally by using food as medicine, identifying the root cause of your health challenges, and providing you with the tools to live a happy, healthy life so you can look your best and feel better than ever! For the past 25 years, I have helped thousands of men, women and their families with a variety of health challenges restore their health with a natural, bio-individualized and holistic healing approach. My passion is to educate, inspire and empower you, and so you can heal naturally. Many of my clients come to me confused from the endless information they hear and read. They lack the knowledge that will truly benefit them, have not identified the true root cause or they have been to doctor after doctor or practitioner after practitioner, and still are not feeling well or seeing results. 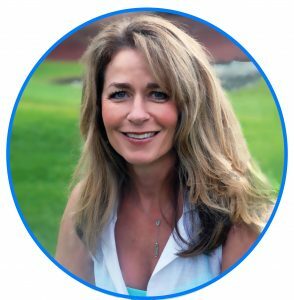 I practice an integrative, holistic and functional approach toward health that starts by identifying the root cause of any underlying health condition, hormone imbalance or lifestyle disease through clinical lab testing, a comprehensive lifestyle and environment assessment, a functional nutritional diagnosis, a personalized timeline and detailed health history. Using a step-by-step process, you are then provided with a vast amount of realistic, empowering, no-nonsense information that is bio-individualized and unique to your biochemistry. You will experience exceptional levels of health, look your best, and feel better than ever for a lifetime! I’ve helped hundreds of men, women and their families from all over the world heal naturally from conditions such as hypothyroid, hormone imbalances, weight loss resistance, heavy metal toxicity, insomnia, hypertension, adrenal fatigue, Hashimoto’s, rheumatoid arthritis, and other autoimmune disorders, diabetes, Candida overgrowth, chronic bacterial and viral infections, digestive disorders, depression, anxiety, and so much more. My philosophy is to identify the root cause of any underlying health problem or imbalance, and design a comprehensive bio-individualized nutrition, environment and lifestyle plan to balance your body chemistry. You’ll experience an increase in mental, emotional and physical well-being, self-gratification, empowerment, restoration in metabolism, and look, feel and function better than ever for a lifetime! Three years ago, I hit rock bottom. In my search for answers, I found Paula! I had tried many holistic avenues during my life for nagging stomach issues, stress and depression, and never felt better, saw any progress or change. In just a matter of weeks on Paula’s program, my results were nothing short of amazing. My blood sugar and A1c decreased, my digestive problems disappeared, the despair lifted and my mind became focused and alert. My body feels and looks so much healthier, and my mood is significantly happier, more stable and peaceful. My changes also included removing toxic people, eating healthier, and exercising smarter because Paula opened my eyes and gave me the tools to succeed. Words cannot express how grateful I am for the positive influence Paula has made in my life. I am loving life with my clear mind and healthy body.